The 150ml Jasmine champagne flute is a distinctive design with a facet ball in the stem. It will take pride of place at any special occasions or business events and would make a great celebratory gift. 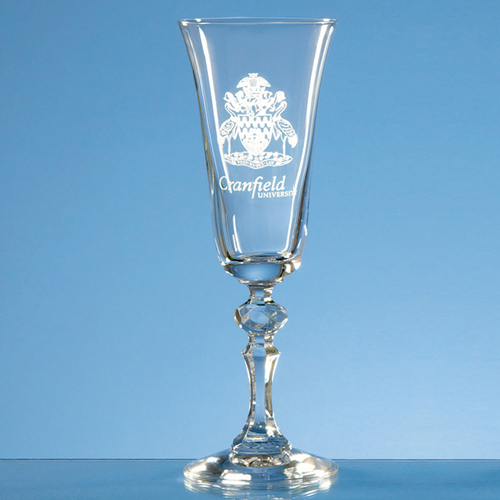 There is a large engraving area where the glass can be personalised with any logo, crest or wording. Also available in the Jasmine collection are red wine glasses and white wine glasses.